It’s the time of the year again when everyone else is so busy spending their time buying anything and everything for their loved ones, friends, colleagues, classmates, teachers, crushes, bosses, and anyone else on their Christmas list. It is very unfortunate that we tend to forget and let go of some signs that we are already on the verge of financial trouble. There are moments especially during holidays that our financial freedom is already at a loss. We are already controlled by our finances. 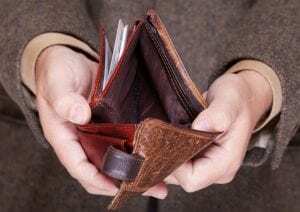 There are moments of mismanagement with regards to our personal finances and then at the end of the day, we realized that we are already having financial issues. We tend to spend more to show more even though there is nothing more left with our personal and even emergency funds. As we end the year of 2018, it is better to contemplate even for a while on how we manage our personal finances. We must bother ourselves in looking for signs if we are already in financial trouble instead of bothering ourselves of what to buy and where to spend our personal funds. As you contemplate at the end of the day, you can already let yourself and your mind wander if you are also doing similar signs such as those listed here or if you are already experiencing some days or most of the days in your daily life. You can not pay all your credit card bills. This includes being late in paying your credit card bill and you always find the due date to be a stressful factor when it comes to paying debts. This is a sign that you are already in financial trouble. You must manage your credit card expenditures by thinking twice before paying any amount. You may not know it, you may have already exceeded your credit limit and that is a real deal that needs to be dealt with as soon as possible. 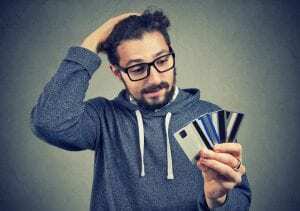 Do not even think of applying for another credit card to pay for your other current credit card bills since it will just add to the credit card expenses that you already have. You can even be enticed by customer service representatives of these credit cards through email messages, text messages, and even personally approaching you but just say no and do not let such temptations lead you to accept it. Remember, you will just add stress to your already existing financial troubles. Pay your existing credit card bills first. Learn to budget your funds. You are always anticipating your salary, bonuses, or wages. This means that you are always looking at the calendar and check if payday is already near. You even anticipate bonuses especially this holiday season where bonuses and cash gifts can become prevalent. Then after the payday had already passed, your wallets or bank accounts are already almost empty. You are already living on a measly amount since after receiving your salary, you become a “one day millionaire” without even thinking of saving enough money for the future. This is another sign of financial trouble. You must learn to budget your salary and include enough savings in your budget. This will ensure that in case an emergency arises, you are ready to have a fund because you have enough savings. You ignore your retirement by not investing. This sign includes not having any investment for your future retirement unless you always want to work for the rest of your life which is not a reality in this world. Everybody retires. You must research for investment opportunities that will become handy as you reach your old age. Even if you are not old, you must have investment funds which you can use for emergency purposes. There are many investment opportunities out there including mutual funds, stocks, trust funds, and many others which are very useful as we approach our golden years. Try to invest as early as possible so that you will not encounter any financial troubles in the long run. You rely on your loved ones in times of financial emergencies. Of course, our loved ones such as our parents will always be there when we are in trouble. They love us and we love them. This does not mean that we will depend on them when we are already in financial trouble. We were not born in this world just to rely and depend on our parents and friends when we are in the midst of a financial crisis. This only means that you did not save enough during those times that you are earning much. 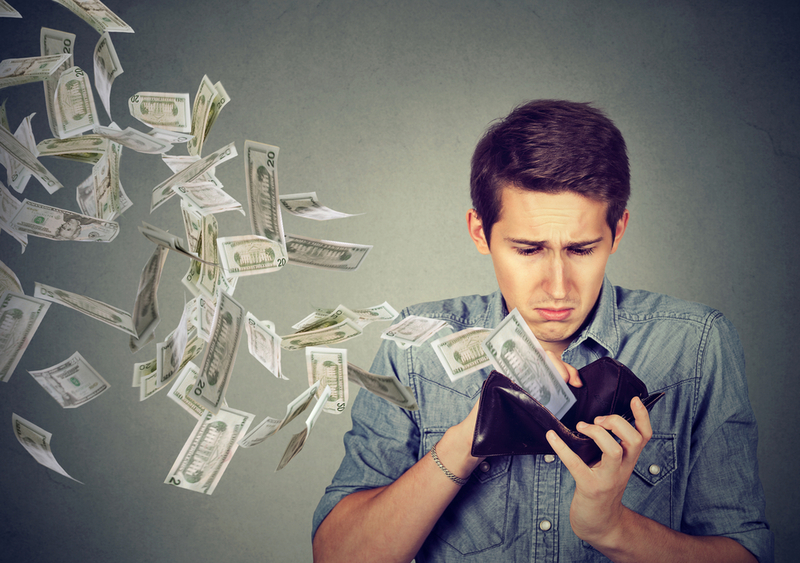 You must have a minimum of at least six months worth of your monthly expenses to cover unforeseen financial dilemmas including being hospitalized or worse, losing your job. It will be a shame if you are always relying on your loved ones during emergency financial reasons. They will help but do not make it a habit to ask for money from them because if you do, they will have a resentment in helping you since it will mean that you are not a responsible adult person. You are always arguing with your spouse about money. This may mean that you are not honest with your partner when it comes to informing about your credit card or debit card expenses. You are even hiding such financial expenses from them. This is a sure sign of financial trouble since you cannot even tell your partner what you are really spending. You are hiding something. They are your partner not just for sexual reasons but they are your partner because they will understand you no matter what. These are just some of the signs that you may encounter and will show you that maybe you are in financial trouble already. Try to minimize your expenses already even during this holiday season. Do not spend beyond your own limits. Save money and learn additional legitimate investment opportunities. This will save you in the future. Make it a goal to have an emergency fund. Spend your money wisely.